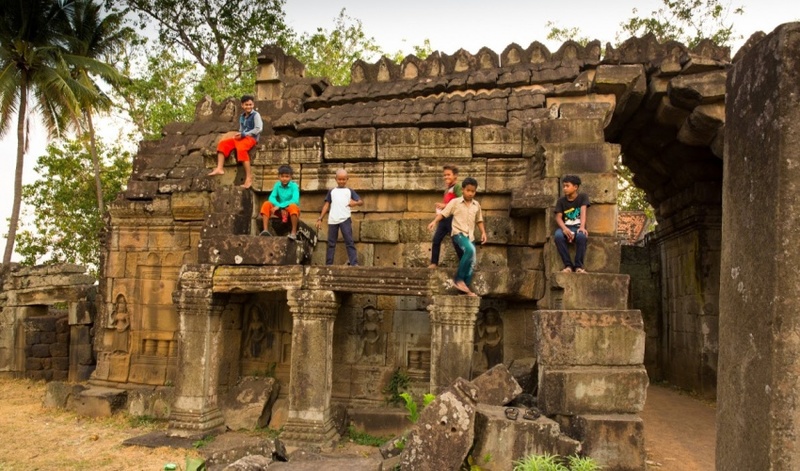 The temple complex of Banteay Prey Nokor is especially known by the temple of Wat Nokor located in Khum of Kompong Siem, at a distance of 1200 meters from the town of Kompong Cham. The monument was built out of sandstone and laterite, and dates from the last years of the reign of Jayavarman VII. 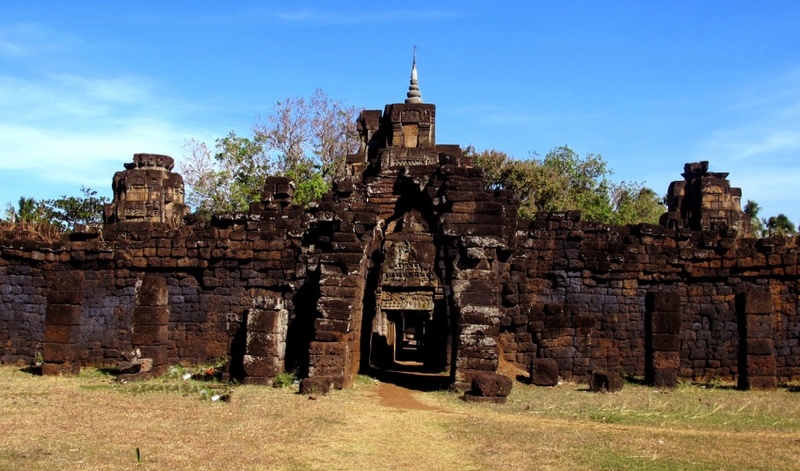 It is composed of a central tower surrounded by four laterite wall-enclosures. The central tower of the temple of Vat Nokor is decorated with motifs characteristic of Bayon with Buddhist scenes on the pediments. 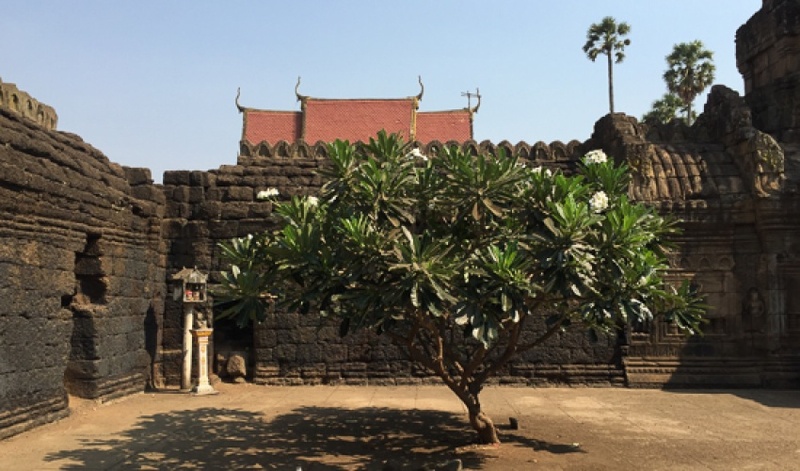 The temple complex is also believed to have been the headquarters of Jayavarman VII for a time, from where he extended his influence over nearby principalities. 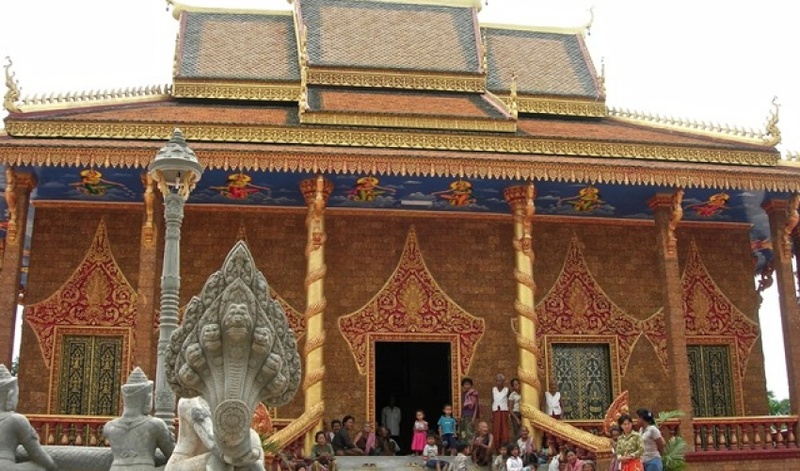 The local people sometimes call the temple 'Wat Angkor' though a sign at the entrance of the temple now officially designates the name of the temple as Wat Nokor Bachey. 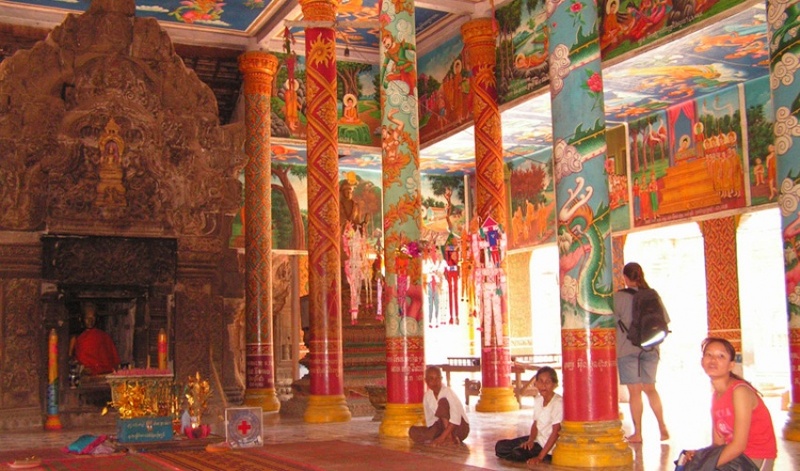 The temple has a number of distinguishing characteristics other than the fact that it is the largest ancient temple complex in Kampong Cham Province. One of these characteristics alludes to the fact that it is built of black sandstone, which causes it to stand out from other temples of the period which are often built of brick or reddish sandstone. The temple has an inscription which is still open to visitors to see (and even touch) in the temple's central pavilion. 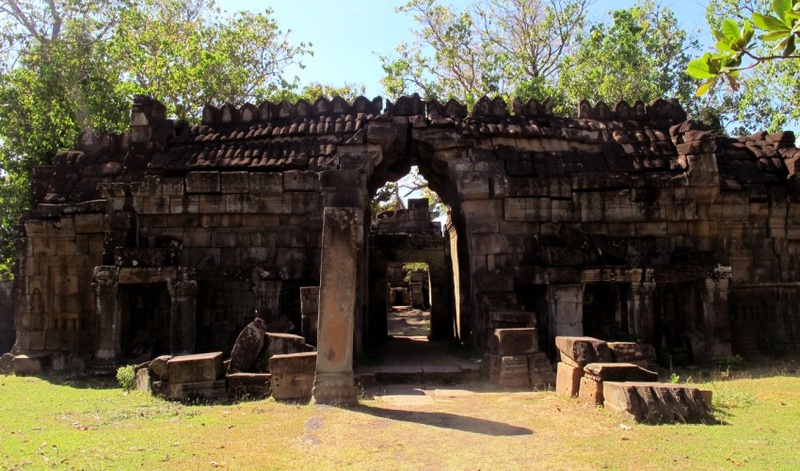 The temple also boasts a 'Chartre' effect in which another more modern temple of a very different style has been built over and around the original Angkorian structure creating a blend of architectural styles. There are many legends surrounding the origin of the temple but the most popular one has Oedipal overtones. Wat Nokor does not get the attention or maintenance that it deserves with its poorly maintained grounds and gardens. The temple has great potential as a tourist attraction but is not yet adequately developed. 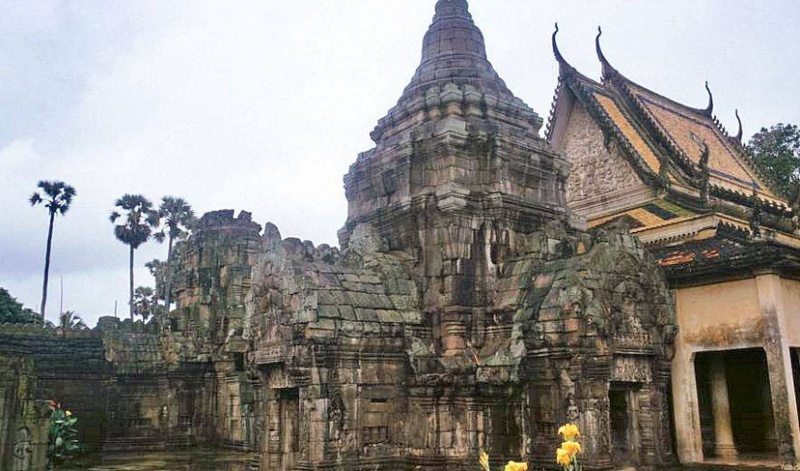 Some people feel that the often deserted ambience of the temple is one of its greatest attractions and distinguishes it from the over touristed atmosphere found in Siem Reap and other popular tourist locations. 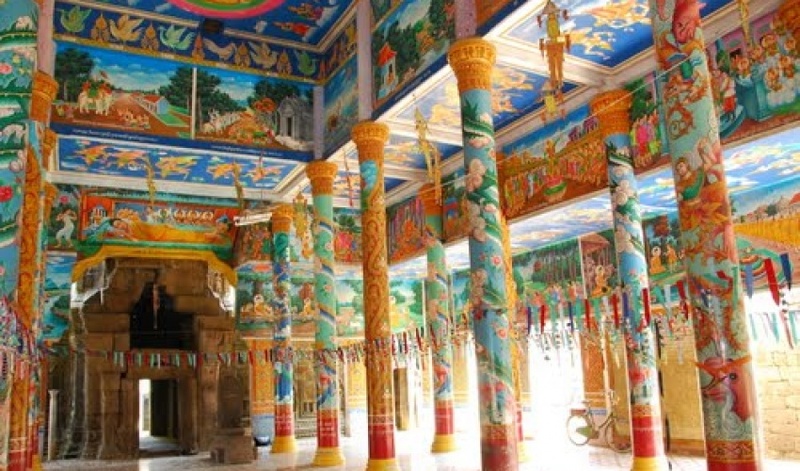 Nevertheless, the litter strewn walks around the temple do not do justice to this ancient jewel of Kampong Cham.